Sussex Police wants to trace three women who were confronted by two youths in ‘potentially violent situations’ in Brighton yesterday (February 12). Launching an urgent appeal, a police spokesperson said: “At 3pm a woman walking in Regent Hill, Brighton, had her path blocked by two youths on a black-and-white moped, one of whom produced a hammer. “No direct threats were made and the presence of two passers-by meant the woman was able to continue safely on her way. 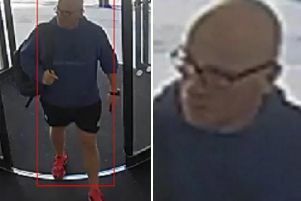 “Some 15 minutes later two youths believed to be the same suspects entered Costa Coffee in nearby Western Road in an aggressive search for two young women who had sought refuge there. “But again the women were not harmed and the youths left. Sussex Police said both youths were wearing tracksuits and when with the moped had on distinctive black and neon yellow crash helmets. Anyone with information should contact police on 101, quoting serial 757 of 12/02.